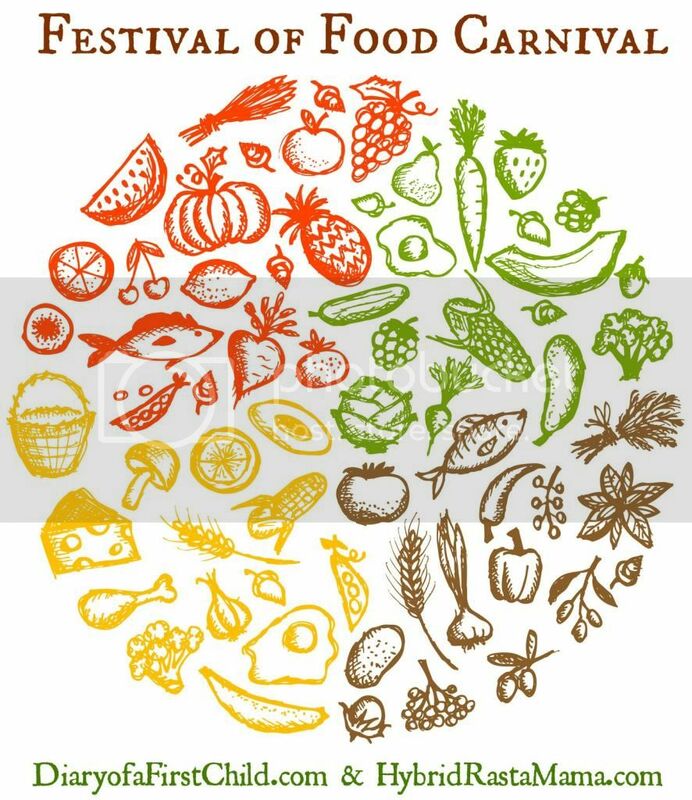 Welcome to the Festival of Food Carnival. In celebration of Valentine's Day, we're sharing recipe ideas for "love foods" or foods to share with loved ones. Hosted by Diary of a First Child and Hybrid Rasta Mama, you're welcome to join us next time, or if you have a previously published recipe you'd like to share, add it to the linky below. This is one of Sam's recipes that makes Mikko very happy. He has no idea that these pretzels are made with half whole wheat flour, and, even though he usually makes us cut the crusts off bread, he doesn't seem to notice that pretzels are pretty much all crust. Sam and I aren't eating grains anymore, but Mikko hasn't gotten the memo. I like that these have a healthy dose of whole wheat flour and not a lot of other questionable ingredients. 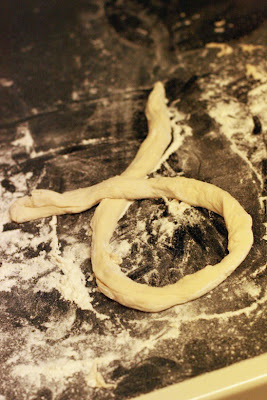 If you're following along with Anktangle's and my Six Ingredient Challenge, you'll be happy to know these pretzels weigh in at exactly six! (Remember you count out water and salt.) There's a tiny bit of sugar, but these make for a more whole-foods version of the type of pretzels you'd get at the mall for quadruple the price. Plus, you can choose how salty the final product is. If you don't usually bake bread, this can be a fun challenge. 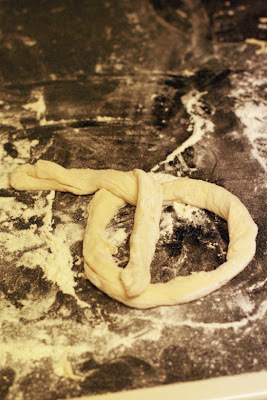 The dough stretches out quite easily, and figuring out the knot is simple once you've done it twice. 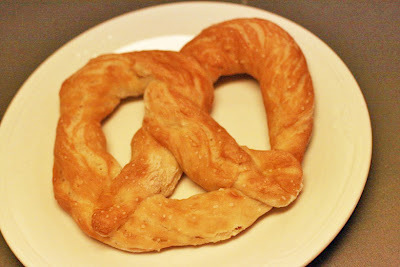 A beautiful handmade pretzel makes a lovely presentation for a special day or a special kid. 1) Add the ingredients to a large bowl in the order given, and stir until just combined. Cover bowl loosely and let rise 50 minutes. 2) Heat the oven to 450˚, having placed a pizza stone on the bottom rack and a large pan half-full of water on the upper rack. 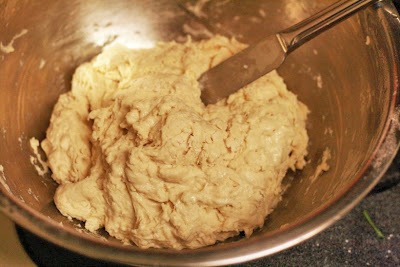 3) Deflate the dough by stirring slightly, then cut the dough in half. 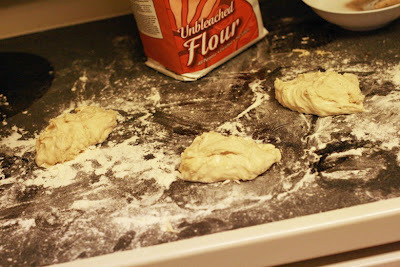 Place half the loaf onto a floured surface, and, eyeballing your best guess, divide it into thirds. 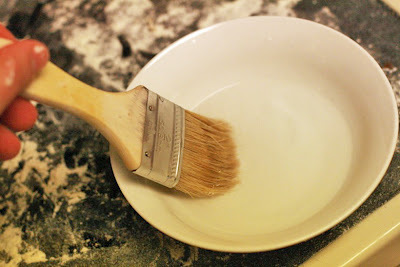 4) Flour your hands and the top of each lump, adding more flour as necessary to keep your hands from sticking. 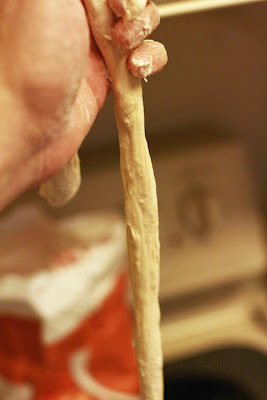 Stretch out each lump into a long, skinny rope; I use a combination of squeezing the dough in one of my fists and pulling the dough slowly outward with the fingers of my other hand, working my way from center to end. I try to get the rope to about the thickness of my thumb. If it pulls too thin you can usually bunch up the thin area and it will re-stick to itself. 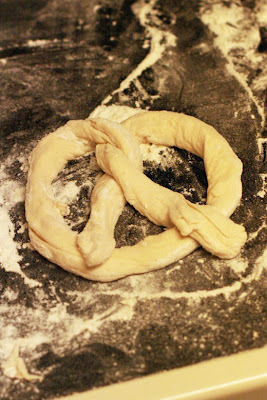 5) Twist the rope into a pretzel shape, as seen in the pictures below. Pinch together the places where the dough needs to connect to keep its shape. 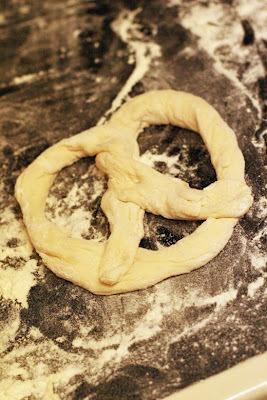 6) Place each pretzel as completed on a sheet of parchment paper, in a circular pattern to fit the size of the pizza stone. 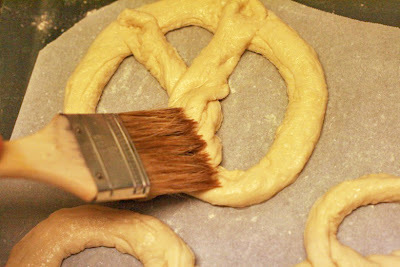 8) Use a pizza peel to place the parchment and pretzels onto the pizza stone. 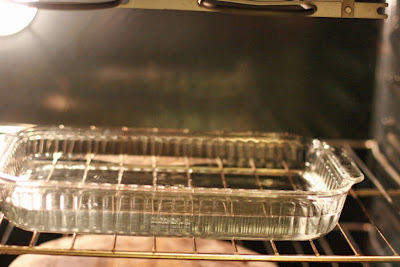 Bake in the preheated oven, which should be steamy by now, for 12-14 minutes, until golden brown. 10) Optional: If you like those flavored mall pretzels, you can brush the tops with melted butter and sprinkle on parmesan cheese, garlic salt, your own spice mix, or something like a Kernel Season's popcorn seasoning (sour cream and onion, ranch, white cheddar, nacho cheese, parmesan and garlic, jalapeno, chili lime, etc.). Those do not fit the Six Ingredient plan, sorry! But they are natural and gluten-free and make a yummy occasional treat. Mikko prefers his plain! 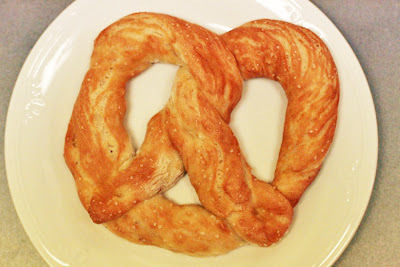 Surprise your Valentine with a beautiful homemade soft pretzel! Mercedes at Project Procrastinot shares Well-Traveled Muffins, A Family Recipe, which is the recipe that's followed her around the globe and won her husband over: banana-carrot muffins. You can also fine Mercedes on Facebook. Mari at Honey on the Bum shares Peek-a-boo, I love you!, a recipe she loves because her kids love it and love to help make it, and it can change as the seasons and holidays change with just the switch of a cookie cutter. Angela at EarthMamas World shares a delicious vegetable black bean soup recipe. She adds a special Valentines Day twist for her kids! You can also find Angela on Facebook. Jennifer at Hybrid Rasta Mama shares two super easy coconut themed Valentine's treats: No Bake Strawberry Cheesecake Truffles and Chocolate Coconut Macaroon Truffles. You can also find Jennifer on Facebook. 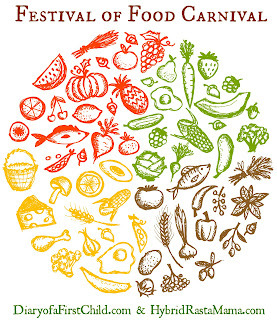 Sarah at Why Food Works shares WFW: Know your numbers - the IMPORTANT ones!. Love your health first - heart disease is a big problem in America, and eating a higher fiber diet can improve our cardiovascular function: try Sarah's Nutty Quinoa Pilaf to show your loved ones you care about their hearts! You can also find Sarah on Facebook. Amy at Anktangle shares her recipe for simple and delicious coconut macaroons. They're sugar-free, gluten-free, and most importantly: free of any processed additives you'll find in many store-bought desserts. You can also find Amy on Facebook. Lindy at Poppy Soap Co. shares a cheeky recipe for Chocolate Love Waffles! These are sure to be a Valentine's Day hit! You can also find Lindy on Facebook. Jorje of Momma Jorje shares a painful recipe that required some love for her to make. You can also find Jorje on Facebook. Luschka at Diary of a First Child lists the ten foods commonly regarded as aphrodisiac foods, and shares three recipes that include eight of those foods, with a printable menu for your easy three course dinner. You can also find Luschka on Facebook. 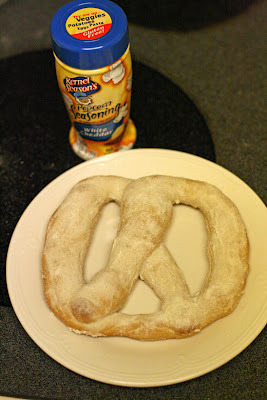 In a guest post at Hobo Mama, Crackerdog Sam shares his son's favorite soft pretzel recipe: half whole-wheat and a lovely upgrade to a mall treat.You can also find Hobo Mama on Facebook. Need a wholesome treat for your honey's sweet tooth? Dionna at Code Name: Mama shares her recipe for amazing homemade heart-shaped nut butter cups. With natural nut butter and coconut oil chocolates, these are two great tastes that will certainly taste great - and healthy - together. 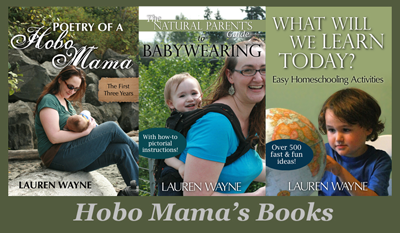 You can also find Code Name Mama on Facebook. Oh, this is soooo bad. One of my favourite memories of Germany is Octoberfest in Munich, and warm soft pretzels the morning after the night before. hmmmm... comfort food at it's salty best. And I'm trying so hard to go grain free! Love the recipe. Thanks for joining us! 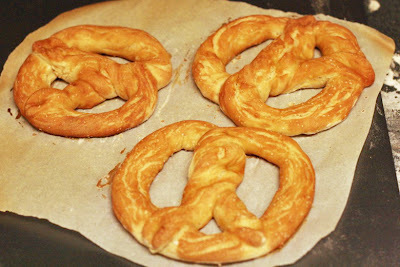 LOVE homemade pretzels! I might have to make some pretzel hearts for V-day!! These look delicious AND safe for my allergy kid! Thanks for the great recipe, I can't wait to try them out! 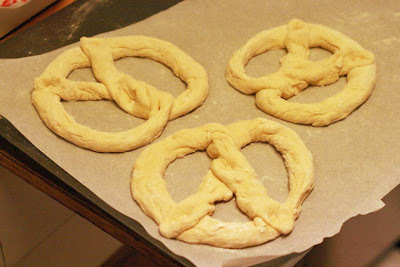 I MISS soft pretzels and these look incredible! Mmmmm...dipping them in some spicy mustard. I could make that a meal! Thanks for sharing Mr. CrackerDog!